Pretty much each day for two weeks now, anywhere from momentarily to hours at a time, I hear in my mind the song Arthur’s Theme (Best That You Can Do) by Christopher Cross. The impetus for putting this song in my head was a comment made on Facebook about my supermoon photo (the one with the jetliner passing by). It was a catchy comment and I immediately remembered that line from Arthur’s Theme. So, now, spontaneously or when I look at my photo, the song starts playing in my head! It’s a great song that some of you will remember from the 1981 movie Arthur, which starred Dudley Moore, Liza Minnelli and Sir John Gielgud. There’s a melancholy quality to the song, well at least to my sensibilities there is. I’m not sure if it’s rooted in the story of the movie, the tragic death of Dudley Moore, or the passage of time I feel as I hear the song. In any event, I’m happy to share the song with you, perhaps with some hope that I have expelled it from its constant return to my mind! Here’s the photo that inspired the comment. What a capture. 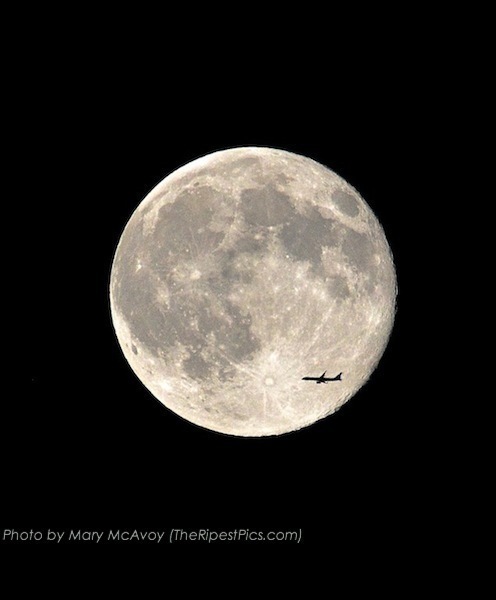 To have the moon details is one thing, but to catch the jet flying past…. Sweet. “Sweet” is right! Pure luck! A wonderful post! Your photo is amazing & thanks for the connection to this song… unlike you, I haven’t thought of this tune for a long time. Now maybe it’ll stick in my head too. Christopher’s Cross debut album was outstanding and remains timeless. I still have it. I’m afraid it’s one of those tunes that does stick! I hadn’t thought of it for years till I saw the fb comment. I want to get the Christopher Cross debut album. Recently I keep coming across (a pun…!) his name and songs from that album. Burt Bacharach took an interest in his voice and that helped boost Cross’ career.